Proud of a low staff turnover with a high staff:child ratio. 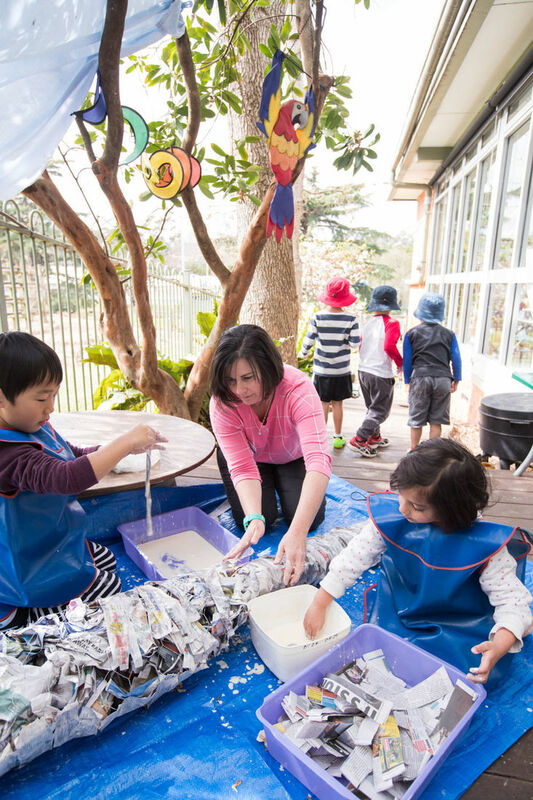 At The Hills Community Kindergarten we have a team of experienced and dedicated staff. Our Director and Teachers have specialised training in Early Childhood Education. Most of our staff directly caring for children hold a current First Aid Certificate and have been trained in asthma and allergy/anaphylaxis procedures. Committed to staff development, all staff regularly undertake professional development to ensure that your child is always receiving the best possible experiences. We enjoy a higher than required staff:child ratio which ensures that our quality learning program is maintained. We strive to ensure that the same staff regularly cares for the same class. Our staff takes the time to understand and know the needs of each child, proactively offering parents feedback throughout the term. We are proud that several of our staff have cared for children in our Kindergarten for many years, which in turn creates an environment of continuity, calmness and security for you and your child.